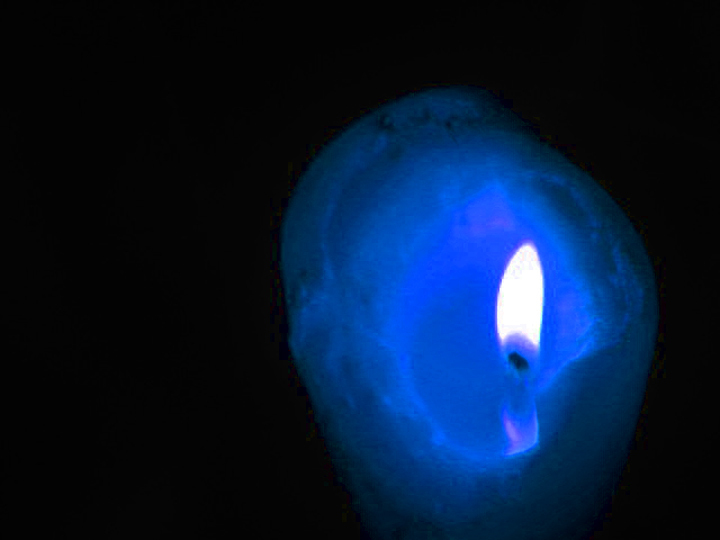 Burning candle; I used a magnifying glass over the camera lens to enlarge the image. Took liberties with color/hue saturations. I get it... taken with a cel phone right? I think I would have applied a noise reduction filter in post processing. Nice colors and mood. It would have worked except for an excessive amount of JPEG artifacts showing. They are most noticeable around the edges of the flame and just inside the tip of it. Your file size of 101k is reasonable for the image, so I think at some time during working on this, you saved it with an excessive amount of compression. A good workflow is to save your file in either a TIFF or your image editors native format, until you are ready to post the final product. That way you don't lose any detail. Hmmm - this wasn't intended for the paranormal challenge, was it? Proudly hosted by Sargasso Networks. Current Server Time: 04/23/2019 04:09:46 PM EDT.